You have laid out quite the "agenda" for this winter, with plans to tackle foreign mountains, lay deep carves, and race your friends down the hill. But first, you've got to learn how to snowboard. The 2019 Ride Agenda will have you seamlessly mastering the sport, with a soft forgiving flex and loose riding flat profile. Reverse camber in the nose tail promotes easy turn initiation and a virtually catch-free ride. Ride's Slimewall sidewall construction adds durability and vibration dampening. If you’re looking for an easy, laid-back ride wherever you take it, then look no further than the 2019 Ride Agenda Men's Snowboard. The House is the best . Is this board for beginners only? An intermediate or advanced-level rider could use this board. 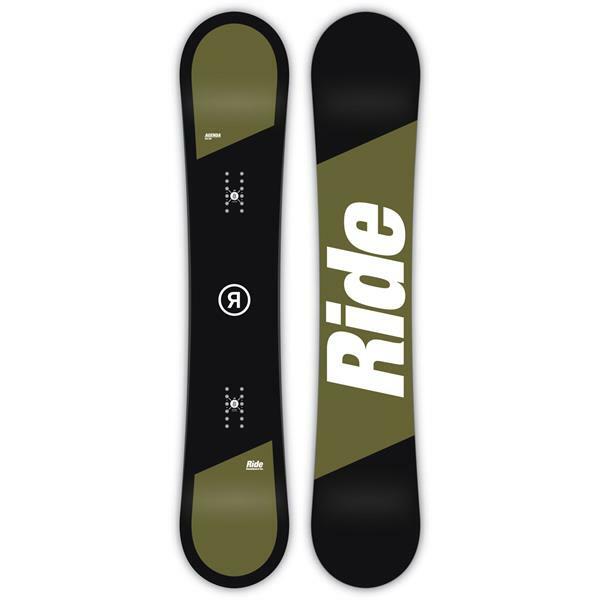 However, it is designed for beginners, so a more experienced rider will likely feel that this board is too flexible and doesn't hold a good edge at high speeds.